classic s. p. taper from knee to ankle, have a trouser strap under the foot, and are tucked into boots. Are often made from expansible fabrics. Tight, figure-hugging s. p. for active sport reach to the ankle and end in a leather border with an opening through which they are fastened to ski boots. 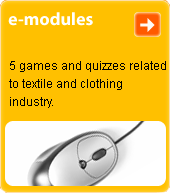 Are produced from an expansible fabric or knit. A further type known as salopettes has a freer-fitting, comfortable cut, is made of lightweight polyamide fabrics lined with down or synthetic-fibre fleece, and is quilted.